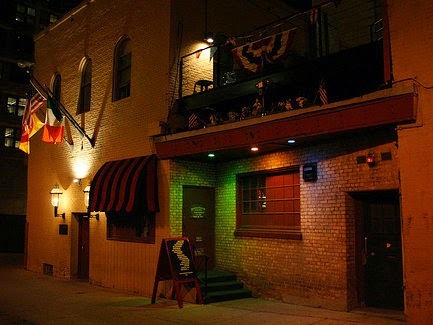 So you probably don't expect to find any spies or undercover activity going on in Milwaukee, Wisconsin (and you probably wouldn't), but what you can find there is a restaurant devoted to espionage called Safe House. And I mean that you literally have to find it. The entrance is hidden somewhere in an alley way, and even after you figure out which door it is, you need to offer up a worthy password to get in. Once you're inside, the spy theme continues. I'd tell you more about it, but then I'd have to kill you. Just kidding! Covert activities include finding the secret phone booths and accepting missions that take you on a tour of the restaurant, which is filled with spy memorabilia. The menu features items such as the "squeak-easy" (batter-dipped Wisconsin cheese curds topped with a secret sauce, natch), and the drink of the house is, of course, the martini. Mmm ... cheese curds and martinis. Offer me that combo and I'll tell you anything you want to know. Guess M16 won't be hiring me anytime soon. Hiking can be fun, but it's not always very exciting. In fact, sometimes when I'm hiking it hits me that I'm actually just ... walking. On a dirt path. Whee! 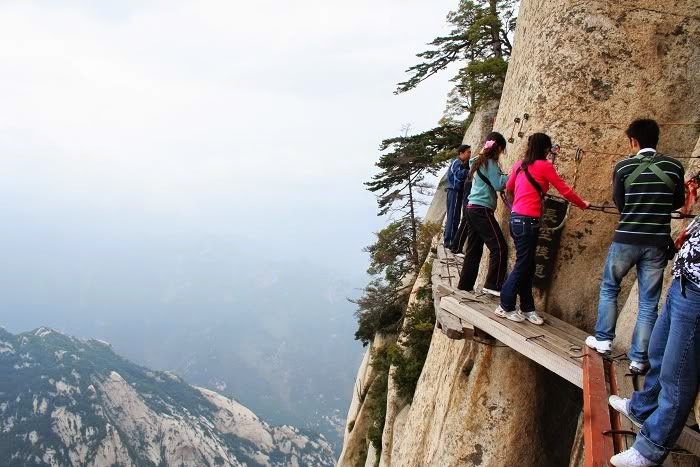 If you're also experiencing hiking ennui, perhaps we should take a trip together to Huashan, one of the five sacred mountains of China, near the city of Huayin in Shaanxi province, where the hiking is decidedly more exhilarating. Steep ladders and narrow, rickety pathways lead up the mountain, and hikers must walk single file on parts of the path, sometimes without the aid of any sort of railing. (There's a rusty chain that you can grab onto in a pinch though!) And sometimes the trail disappears altogether and all you're left with are footholds that have been carved into the mountain face. Have there been fatalities? You betcha. But where else can you catch such, um, killer views, more than 7,000 feet above solid ground? Zoos are neat and everything, but the animals are always so annoyingly out of reach. Tigers, for example, are always behind two sets of bars, a low wall, and a moat. What's the worst that might happen if we were allowed to pet the tigers a little? Besides an imminent and gruesome death, I mean. Well, it turns out that maybe death is not imminent after all. 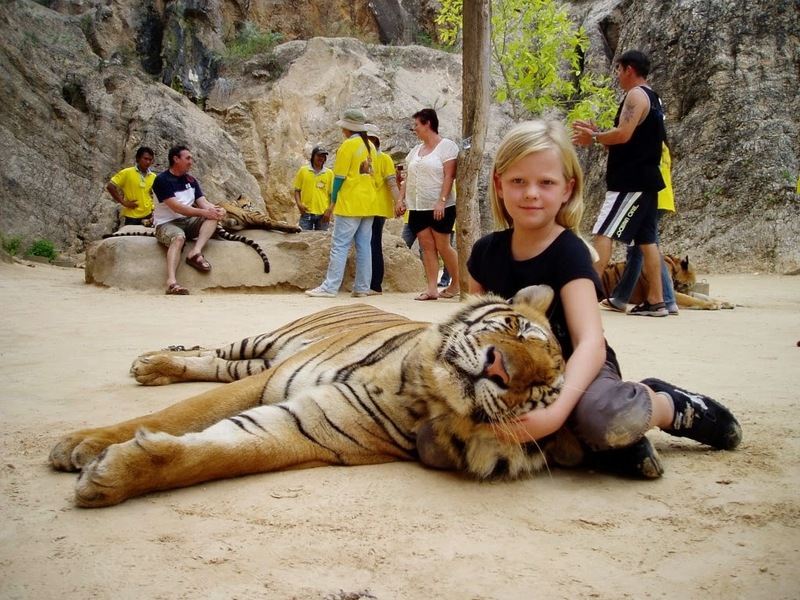 At Tiger Temple in Kanchanaburi, Thailand, visitors are allowed to hang out with free-roaming tigers that were brought to the sanctuary to be raised by Buddhist monks. Are these tigers drugged? Beaten? Cat-shamed? Nope, none of the above - in fact, a recent raid by the concerned Thai government revealed that the tigers are actually perfectly content. They don't attack their visitors simply because they're well-fed and well-adjusted. Of course, my house cat is also well-fed and well-adjusted, and he's attacking my ankles for seemingly no reason as I type this, so visit at your own risk. Utensils are overrated. Sure, they keep your fingers clean and lend you the overall appearance of a civilized human being while you're eating, but they also take out all the fun. There's nothing like manhandling your food and giving your fingers a satisfying lick after it's all over, I say. In a completely unrelated topic, did you know that I was raised by gorillas? The Michelin-starred Carpe Diem Finest Fingerfoods in Salzburg, Austria, understands this atavistic need and has built a fine dining experience around finger foods. Most of its menu items are made for being picked up by hand, and even the gloppy substances that refuse to go quietly into your mouth are presented in edible cones for your convenience. 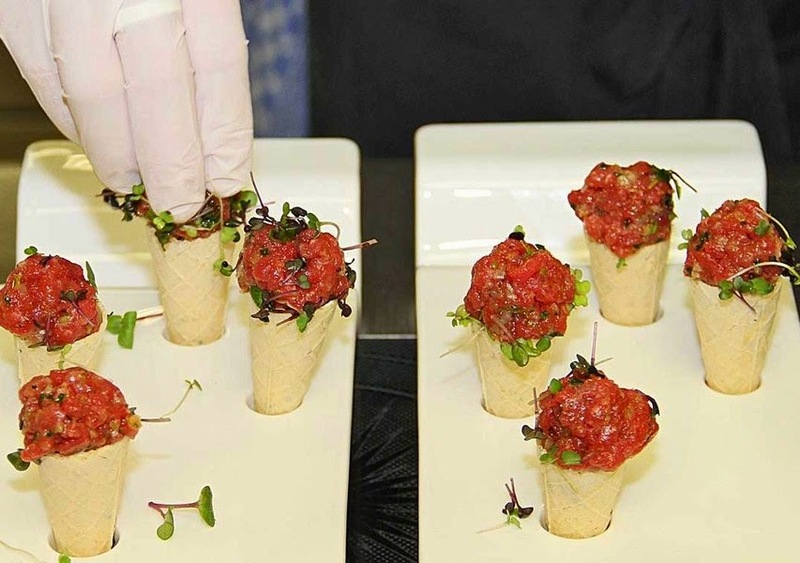 There are also some fork-friendly dishes, in case your dining companion is not as cool with finger foods as you are. Which begs the question: Why are you eating with this elitist pig, anyway?